Professor Peter Licence from the School of Chemistry will be giving his inaugural lecture at the University of Nottingham on Wednesday 13 February 2019, 5-6pm. This lecture will deliver a personal reflection on the importance of multidisciplinary activity in the context of Green and Sustainable Chemistry. 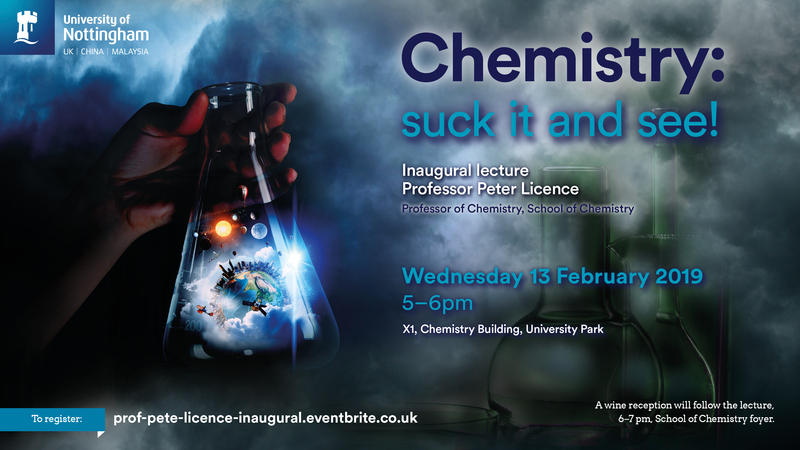 A wine reception will follow the lecture, 6-7pm, School of Chemistry foyer.